Property owners and contractors voluntarily distort and shift their legal rights and obligations by written contract. In my practice, I see far too little thought given to their terms of agreement, and far too much of the tragicomic results. Where an ounce of prevention could have prevented a pound of cure, a ton of misery winds up in court. So, just about every day I am asked to interpret one construction contract provision or another. Clarity is cheap, and interpretation ought not to be so necessary, but in this world of ignorance and intellectual laziness, the wrong words get strung together and re-used without forethought or understanding. Form contract clauses suffer from a kind of word cancer, where errors multiply in repeated duplication and degrade their sense. And take it from me, people will sign anything. Not long ago, one illegal contract came across my desk, destined for criticism in court. The “Contractor Agreement” (plaintiffs’ trial exhibit P4) set a start date and a date of “substantial completion” “on or before December 31, 2014.” I argued that this apparently innocuous contract language presented an undeniable and wholly preventable violation of the NJ Consumer Fraud Act, offensive by its failure to clearly and accurately set forth in legible form upon the contract the dates or time period on or within which the work was to be completed by the seller (N.J.A.C. 13:45A-16.2(a)12.iv.). How? Because in construction, “completion” and “substantial completion” mean different things. “Substantial completion” is a term of art, and means satisfactory completion of major portions of the contract work, including inspection and testing, so that the work site may be turned over to the owner for its intended use or occupancy. See, for example, the definition at N.J.A.C. 7:14-2.8(d). The date of substantial completion will usually occur when the first temporary certificate of occupancy is issued, indicating that the building is sufficiently complete so that it can be occupied and used. Town of Kearny v. Brandt, 214 N.J. 76 (2013). “Completion,” by contrast, is something different. Even after a building is inhabitable, the punch list of touch-up and disputed items – that is, any cost items arguably nonconforming to the contract – may remain. Only when these have been addressed to the standard of workmanship and delivered over to the owner can the work be considered complete. The home improvement practices regulations require that the project be complete, not substantially complete, before final payment may be demanded. N.J.A.C. 13:45A-16.2 (a)(6)(v). Where the work dragged on under the “Contractor Agreement” criticized above, trebled damages and shifted attorney’s fees became an issue under the broader complaint for consumer fraud against the contractor. Outside the consumer fraud law, the difference between completion and substantial completion can have significant procedural implications in a dispute over payment. As soon as the work can be considered substantially complete, a contractor has a vested right to its contract price, and the burden shifts to the owner to prove set-offs for minor breaches of the agreement. Before substantial completion, a contractor’s case to get paid is far more involved (and more expensive to present), being a quantum meruit action where the value of the labor and materials provided must be established by expert opinion testimony. If I had my way, there would be a construction subcode official in every town whose job it would be to review each contract for precision and enforceability before that contract could be cleared for signature. I would be putting myself out of a job, probably, but my place in Heaven would be secure. 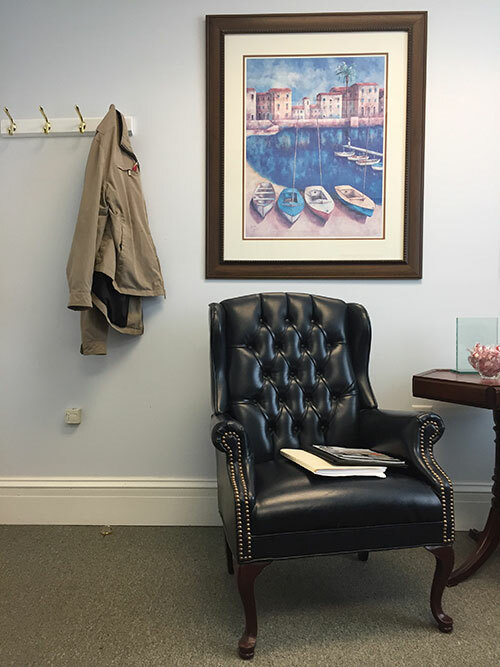 New Jersey construction lawyer Robert J. Incollingo is a Director of the Camden Business Association, and practices construction law, business law, and real estate law in Gloucester County, Burlington County, and Camden County, New Jersey from his office in Cherry Hill. More articles like this appear on RJILAW.com.